From the Dark Ages, through medieval times and the Renaissance era, down to the present day, Mary Magdalene has been among the most painted and sculpted of all classical figures. In fact, the oldest of all Christian paintings outside the catacombs of Rome is not of Jesus or his mother, but of Mary Magdalene. Artists and chroniclers have adored her, and churches have been consecrated to her. But for all that, she has been constantly vilified by the Christian religious establishment. In the New Testament Gospels, Mary is given as Jesus' companion, his financial sponsor, and a woman that he loved. Church doctrine, however, claims her to have been a sinful harlot, albeit a repentant sinner who was finally admitted to the sainthood as late as 1969. With over 50 colour plates, The Magdalene Legacy follows the life of Mary Magdalene as it has been portrayed in academic literature and the world of fine art. The book also investigates why so many of Mary's pictorial depictions are of non-biblical events - on board a ship, holding a Grail, preaching to crowds, and pregnant or with a child. In these respects, we find evidence of Magdalene passages deleted from the original Gospels before they were approved for New Testament inclusion in the 4th century. Additionally, much is learned from other Gospels and texts that were omitted entirely from the canonical selection - accounts that specifically refer to Mary Magdalene as Jesus' consort, along with monastic references to her being his wife. The story that emerges is an explosive account of Mary's exile from Judaea under threat arrest, and the documented persecution of her heirs by a succession of Roman emperors. Why are these things not written in the Bible? Many of them are - they are simply not taught or discussed in a mainstream environment. 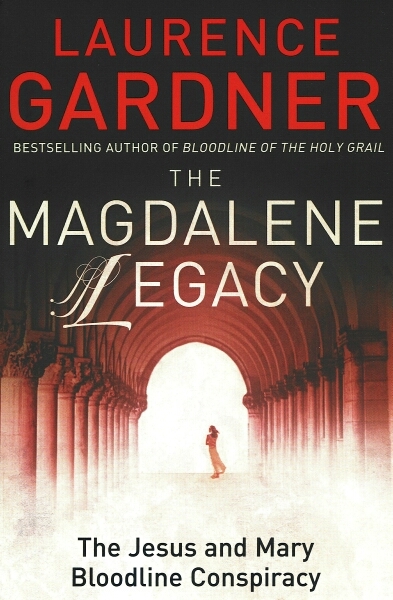 The Magdalene Legacy, however, goes far beyond the controversies stirred up by the fictional world of The Da Vinci Code to reveal a dramatic series of events that rock the very foundations of hybrid 'churchianity'.